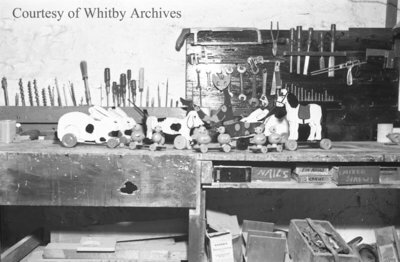 A black and white negative of a work bench used by the Craftsmen's Guild in Whitby, Ontario. In this view wooden toys are lined up on the work bench. Craftsmen's Guild, October 24, 1939, Marjorie Ruddy. Whitby Archives A2013_040_779C.